Whatever you need doing in your garden, our fantastic gardeners can perform a wide range of gardening services at fantastic prices. With our team of gardening experts, no job is too big or too small so there really is no need to struggle with your garden tidy ups or leaf clearance work. For many people, gardening can be an extremely strenuous activity and a real chore, but with our fantastic prices you won’t need to worry anymore about making your garden look perfect for summer. Simply give London Gardeners a call on 020 8434 7256 today to discuss your requirements and obtain a free quote and a timescale for the completion of your work. Our gardeners are the most talented that you’ll find anywhere in London, taking real care and attention with your precious wildflowers and completing hedge trimming and pruning with ease and perfection. 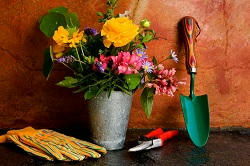 Or if it is just one of our quick garden tidy ups that you’re looking for then you won’t find a more hardworking and comprehensive team of gardening professionals than the brilliant experts that we have at our disposal. You can count on us for one off garden spraying or leaf clearance, or you can arrange a weekly gardening appointment. That way you’ll be able to keep on top of the weeding and the grass cutting all year round, so when it comes to summer you’ll be ready to go. This summer you can have your garden looking better than ever for family BBQ’s, long wine-filled evenings outdoor or some sunbathing. Whatever you use your garden for, we can help you to achieve your perfect space with a wide range of options and a flexible pricing structure. Simply call us right now on 020 8434 7256 to find out all about our special offers and services from our friendly staff members. When it comes to garden landscaping, if you don’t have any ideas in mind- or even if you do- our expert gardeners are incredibly inventive and creative when it comes to producing outstanding garden design options and following them through with flare and skill. We guarantee that you will be 100% happy with our work and we maintain fantastic communication throughout the project to make sure that everything is delivered precisely to your specifications and requirements. You’ll find that our gardeners are highly proficient in all forms of gardening care services to keep your lawns looking luscious and your hedges perfectly pruned. If you enjoy evenings out on the patio, or maybe a Sunday morning breakfast then you should look into our patio cleaning service. You will be simply amazed when you discover how clean, tidy and modern your outdoor areas will look when you allow our gardening experts to get their hands on them. We will also perform some comprehensive garden spraying around the cracks in the pavement and around all of the borders to prevent those pesky weeds from returning. You’ll be proud to invite guests around for summer BBQs when your garden looks so beautiful. As a proud local company with a great reputation, we take real pride in all of the work that we do in all of the gardens no matter how big or small. You’ll always see us with a smile on our face showing a great attitude towards the working day. Each and every one of our dedicated staff members have years of experience at delivering great gardens with faultless customer service so you really cannot go wrong with London Gardeners. 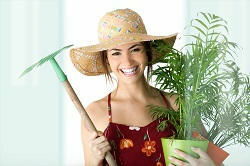 Call us today on 020 8434 7256 and find out how little it will cost you for the best gardening services in London.